Bone cancer is a disease that has been accounting for a lot of cancer deaths in men and women every year. Bone cancer could be of two types – primary where the cancer cells have originated within the bone itself and secondary where the cancer cells have metastasised through the blood stream to affect the tissues and nerves in the bones. 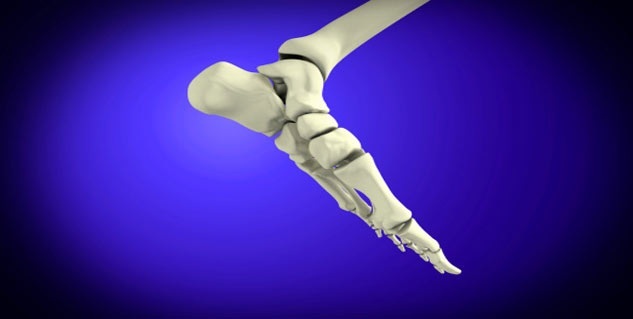 It is interesting to see that most of the symptoms of bone cancer have been observed especially in the foot and ankle. This is one of the most common symptom of bone cancer in the foot and ankle. You could always experience a swelling in the foot or ankle that gains strength with time. This is because the cancer cells, whether primary or metastasised invade the bone cells, entering the fibrous marrow and affecting the red blood cell production or the resistance of the white blood cells. As the immunity weakens, the strength of the cancer cells increase thus increasing the swelling or lump in the foot. These lumps are often misunderstood of having been caused by something else. These lumps should never be ignored and must be diagnosed by the doctor at once. Fracture in the bones could also be a significant symptom in order to suggest that your body may be under a bone cancer attack. The cancer cells have the potential to weaken the bones and thus induce a fracture. Although there may not be any external pressure or accident, the bones may rupture due to the intense pressure exerted by the cancerous cells. The bones also tend to lose their flexibility, especially around the joints. The tendons and ligaments are seen to spasm out of control, thus further weakening the bones. The patient may experience aggravated pain due to the rupturing and the weakening of the bones. The pain is most likely experienced during the night or especially when you are engaged in some physical labour. The pain in the legs is more likely to increase with the passage of time and as the cancer grows. So if you feel persistent pain for several weeks, it would be very wise to fix an appointment with the doctor at once. It is very unfortunate to misinterpret such a pain as something else t. If the cancer enters the third or fourth stage and as it starts to metastasise into the lungs or breasts, the pain could increase and the chances of survival could worsen. So as the pain starts to grow, it is always important to get it diagnosed. Read more articles on Bone Cancer.